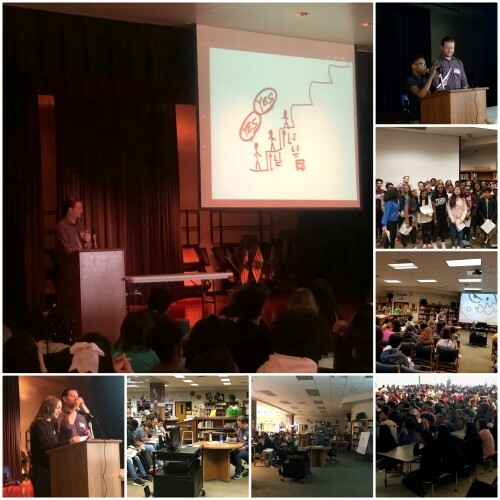 Author and artist Nathan Hale recently visited Coble Middle School for the day. He held large sessions with 7th and 8th grade and smaller sessions with 7th and 8th grade History and Art classes. Mr. Hale has a very successful historical graphic novel series that our students love. The latest installment is entitled LaFayette. Mr. Hale always draws and tells the story of Lewis and Clark. Our students look forward to his visit each year. This is the third year in a row we have been honored with his visit.